Have you ever been so deep in credit card debt that you regretted ever having one in the first place? I know I have and, at times, I feel that these cards are up to no good. I must admit that I have made quite a lot of calls to my credit card company to complain about the high fees they charge – particularly when payment is overdue or when cash has been withdrawn using the card. Using a prepaid card is an easy way of keeping track of your finances. The process of using this card is simple. I get my card, load any amount of money that I want on it, and I am ready to go. If I am traveling far from home, then I prefer using a Visa-enabled card because it will ease my payments. I know how much money I need for a particular payment, and I just load slightly more for inconveniences. This is just my way of maintaining self-discipline. 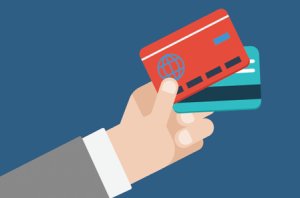 A moderate income makes many people like me prefer using prepaid cards over other forms of payment for goods and services. A network-branded prepaid card means that it is issued by an organization under strict government regulation. As the global economy gradually changes from cash based to card based transactions, it is important that everyone is carried along. This is the role that network-branded prepaid cards can play in providing a product that can help the middle class and not snow them under with fees, penalties, and exorbitant interest rates. One thing that is certain is that using prepaid cards is secure and offers some form of financial freedom to its holders.